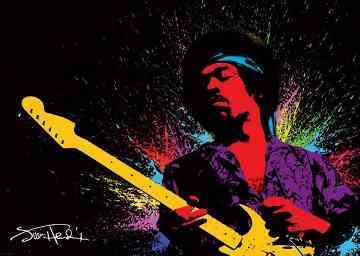 Cool poster of Jimi Hendrix in a paint splatter design. Approximate size of this Hendrix poster is 24" x 36". Officially licensed Jimi Hendrix merchandise.